Impressive accommodations, impeccable service, and illustrious surroundings are only some of the reasons why Grand I Hotel in Batam is a recipient of the 2013 Certificate of Excellence by TripAdvisor. The hotel is a convenient haven for daily and long-staying business travelers who are looking for the familiar comforts of a four-star establishment in this popular district. 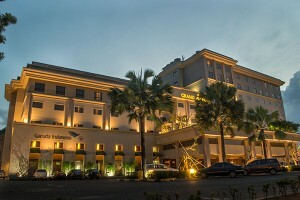 The location of Grand I Hotel in Batam makes it the ideal residence for travelers who consider convenience as an imperative. Enjoy the proximity of staying at this scenic island near Nagoya Hill, which is easily accessible from the airport and ferry terminals.